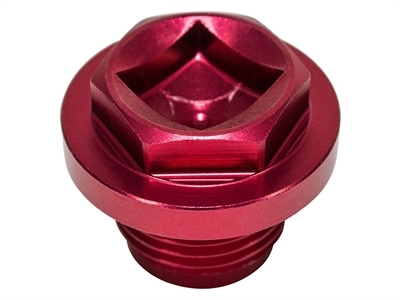 Replacement Filler Plug - Red (Britpart) Discovery 1 - ERR4686RED Island 4x4 - Specialists in Land Rover and Range Rover Parts and accessories for all models. UK and worldwide mail order. Replace your existing filler plug with one of these smart anodises aluminium ones. Suitable for use on a Defender, Discovery 1 & Range Rover Classic on the radiator and thermostat housing. Can also be used on the diff filler level on a Discovery 2. Non-stock item - please allow 2-3 working days for delivery.